​Deak's Fur Company, located in Staunton, Indiana, is a family owned business that strives to supply the Hoosier outdoorsman with everything that he needs to enjoy his sport. We buy roots and herbs directly from the digger and our scales are certified by the state of Indiana. Prices are competitive. We buy fur from the hunter and trapper. We stock lights, traps, lures, baskets, wire, dyes, and wax. In business for over 40 years, we take great pride in the honest and trusted relationships that we have established with the woodsmen in mid-western Indiana. Our customers know that when they come to us, they are getting the best quality product and service available. We stock the most trusted brands of hunting and trapping supplies to be found, in addition to having quality outerwear with tested endurance and performance. At Deak's Fur Company, you will find that we take a great deal of pride in servicing our customers. Our commitment is to provide you with the best product, the best service, and the best smile around. Deak's Fur Company, your quality Indiana fur company, has been a center for the herb and fur market in mid-western Indiana since 1972. 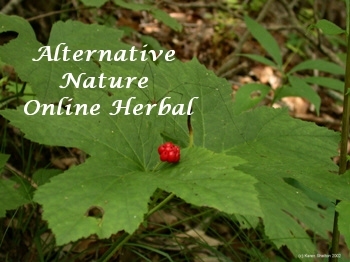 We buy herbs including goldenseal (yellow root), mayapple, blood root, Virginia snake root, and ginseng in Indiana directly from the digger, either green or dried. Roots are collected from the woods from Spring to Fall, and bought through our business til Winter. Each year our scales are certified by the state of Indiana. Our scales are accurate and our root prices are competitive. We buy fur from the hunter and trapper either in the carcass or stretched and dried. Seasons for collection vary from state to state. The outdoorsman needs to check with his state Department of Natural Resources for dates. Information for Indiana is available in our shop, on this website, or online at www.eRegulations.com/IN/hunting Prices of fur vary each year. Please contact us for pricing information. We stock all of the necessary tools for the hunter and trapper to enjoy his sport. Digging tools for the herb collector are available. Lights, traps, snares, lures, fleshing tools, stretchers, and baskets are all tools used by the hunter and trapper, and are in stock. We stock Carhartt clothing as a service to our woodsmen. Jackets, bibs, pants, shirts, hats and gloves, both Carhartt brown and camoflage are in stock. Other colors are availble through special order. We stock six styles of rugged Carhartt boots priced between $89.99 - $139.99. Deak's Fur Company strives to serve our sportsmen with the best tools available to enjoy their sport. It has always been our tradition to be an honest and trusted friend to our customers. If we don't have what you need, we will find it for you. by Mid April or early May. We will post prices as soon as we receive.